Hi folks! Just a reminder that we are closed Saturday, July 2nd, for the 4th of July holiday weekend. We will reopen on Thursday, July 7th, and will be open regular hours (Thurs-Fri-Sat, 10-3) until September 24th. Thank you and enjoy the holiday weekend! 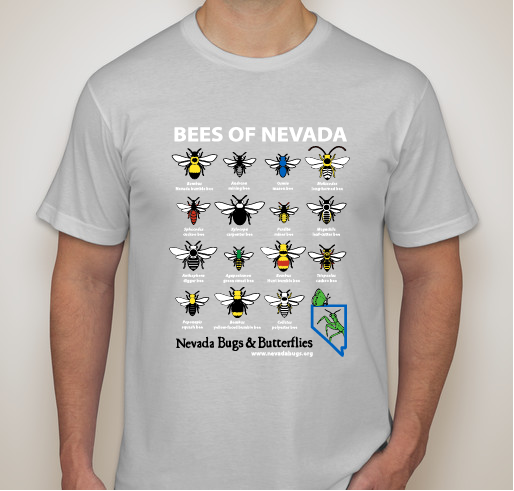 Get your own special release Nevada Bee-Shirt! 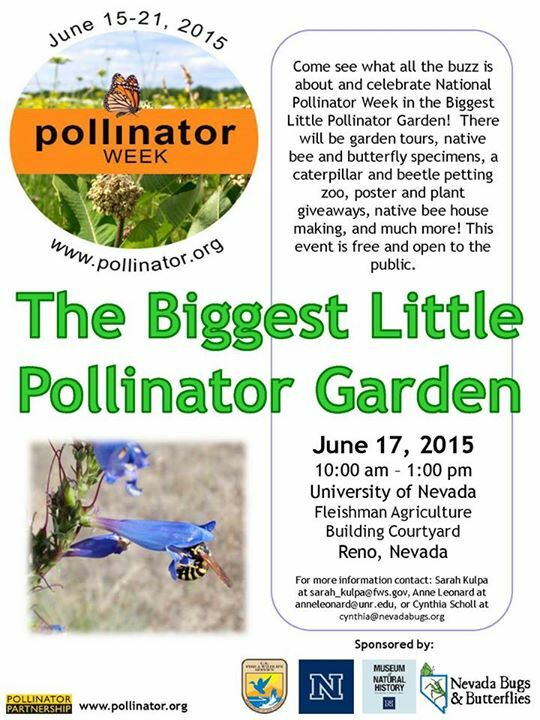 Nevada is home to over 1000 species of native bees that are important pollinators of both wildflowers and many food crops. They come in all shapes and sizes, and they can be found in a wide variety of habitats. 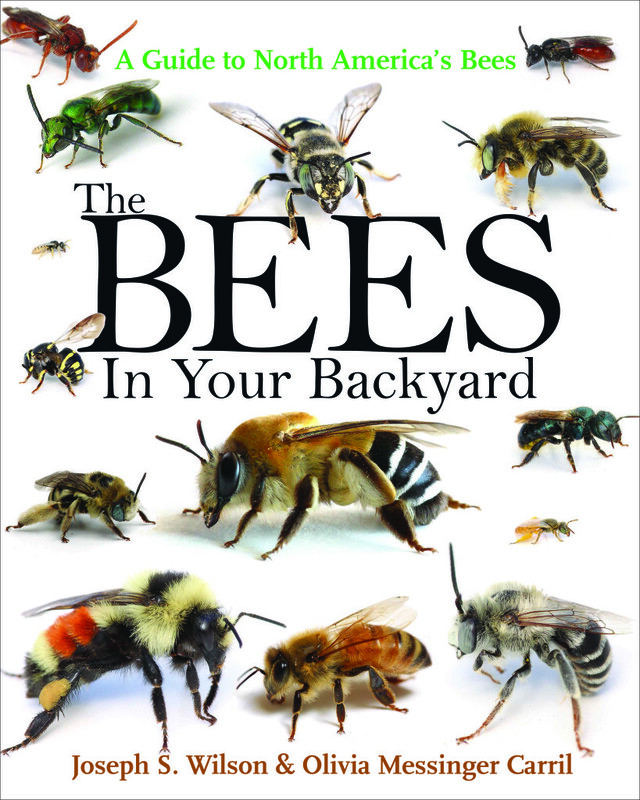 Despite being so important, bees are often misunderstood and many populations are in decline. In order to celebrate these amazing creatures, we’ve created this special release t-shirt that highlights the incredible diversity in color, shape, and size of these amazing invertebrates. 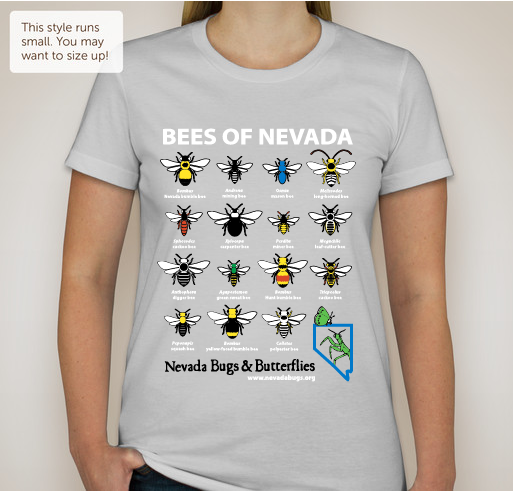 Designed by our wonderful and talented board member Angela Hornsby, these shirts are a great way to educate others about the importance and diversity of native bees and highlight your support for the tiny pollinators that work hard every day to help create a healthy ecosystem. 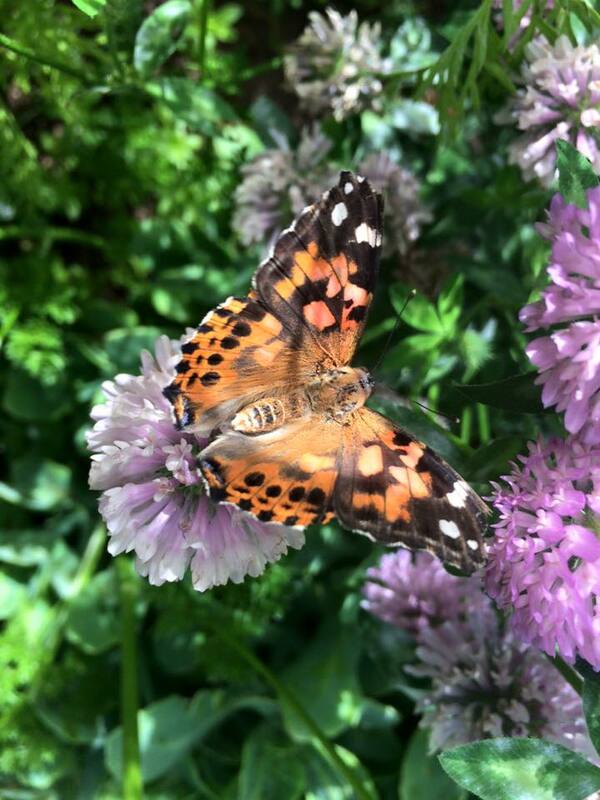 Nevada Bugs and Butterflies is proud to support quality science education about native biodiversity in our area, and we provide pollinator education throughout the year. 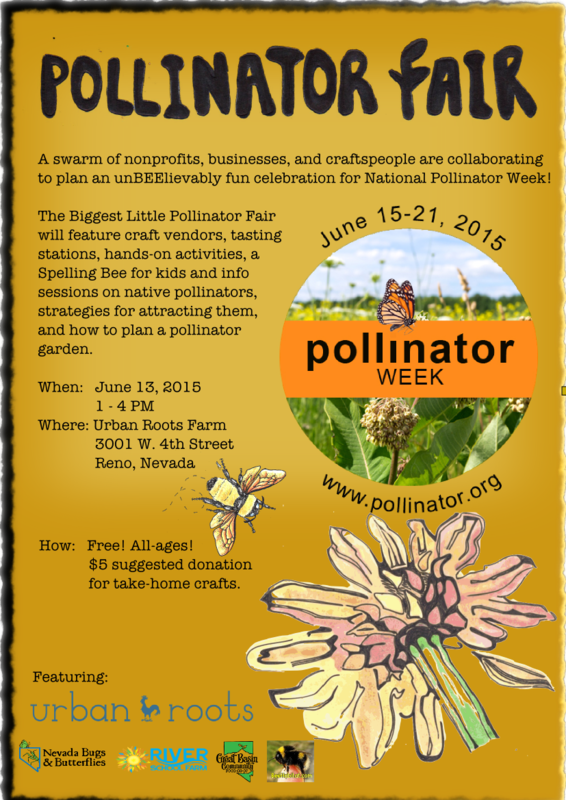 Proceeds from this sale will go directly towards our various educational programs, including workshops, talks, and take-home activities at our seasonal science center, like making your own native bee habitat! Shirts are shipped directly to your address, order yours online today! Note that these American Apparel shirts run small- order a size up! Note that these American Apparel shirts run small- order two sizes up! As we all enjoy some much-needed snow (and warm days in between!) this winter, one of the most common questions we get is about how insects survive the winter. And, as with other parts of insect biology, there are a wide variety of strategies. 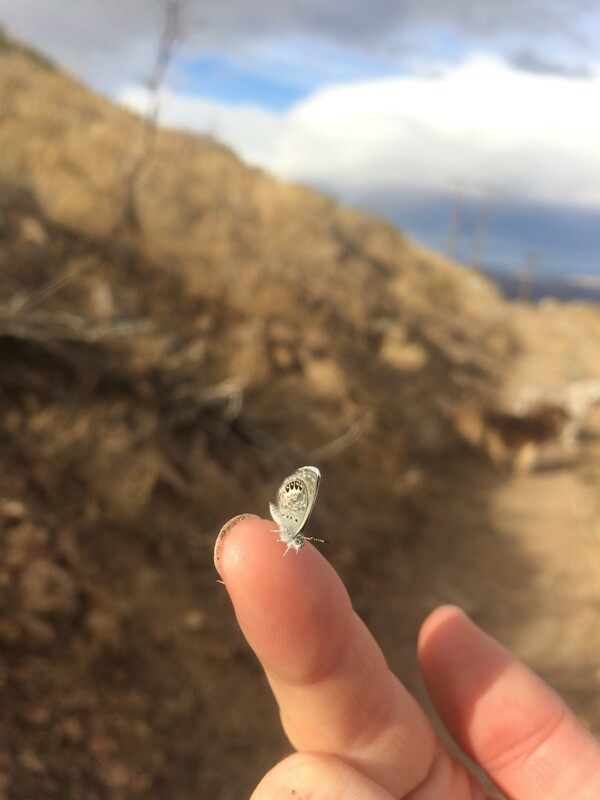 Using butterflies as examples, each species has its own strategy to survive from one fall to the next spring, or a way to ‘overwinter.’ Check out the pictures below to see how some Nevada butterflies overwinter! One of the most famous strategies is migration to warmer locations, just like birds. The monarch migrates in the fall from northern latitudes to specific locations in central Mexico, southern Arizona, or coastal California, with the same individuals flying north again in the spring. Painted ladies may overwinter in warmer areas as well, with populations reproducing all year long in warm climates and some individuals moving north each spring. 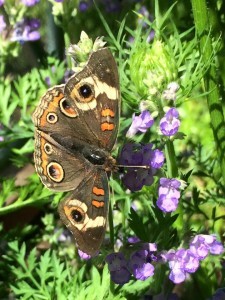 Buckeyes are similar to painted ladies; they may re-colonize the same area over and over as it warms up from spring into summer, sometimes returning in huge numbers. The Melissa blue overwinters as an egg. 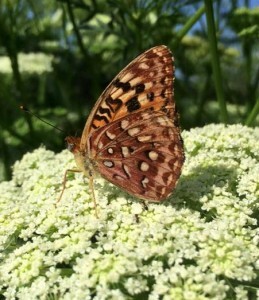 In late summer, the adult Melissa blue will lay an egg on its hostplant (the plant required by caterpillars to survive), lupines or milk-vetches, and the egg will wait to hatch until the following spring when the plant begins to grow again. When the caterpillar emerges, it will be ready to eat! The common ringlet overwinters as a caterpillar. Often the caterpillars will roll up inside dead leaves, or tuck in tightly at the base of their hostplant (for the common ringlet that is native grasses), and come out of hibernation when the warm weather returns. The end of our butterfly house season is fast approaching (can you believe only two more weekends? ), and we are closing out with a fun family event. On our last two sets of open days, Sept. 10-12 and 17-19, we’ll be having our second annual monarch tag and release event! This is part of a citizen science project called the Southwest Monarch Study, aimed at understanding and conserving the monarch migration of the western United States. We’ll have a short introduction to monarch biology followed by tagging an adult monarch that will be released to migrate south towards the coast of California. These tags can then be recorded by observers in their overwintering habitats, such as Pacific Grove and Pismo. 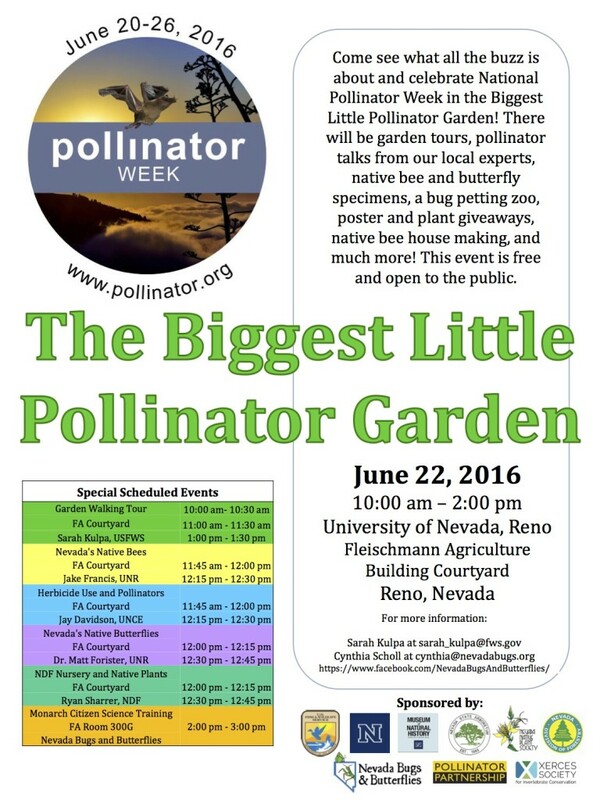 We’ll have a presentation once an hour from 10:30-2:30 each day (weather permitting). This is a great opportunity to see the butterfly house and garden in the beauty of late summer and learn more about this beautiful and endangered native butterfly. Hope to see you there! 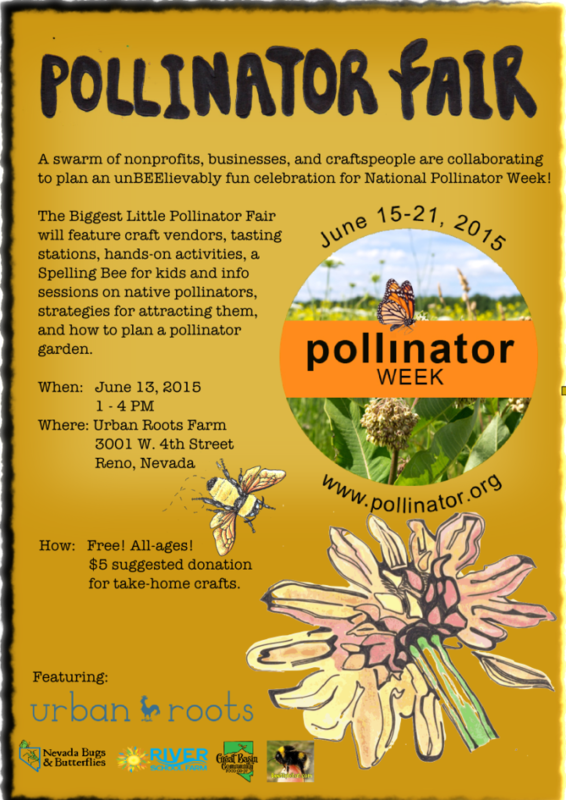 Come help us support this great citizen science program! Nevada Bugs awarded a Helen Close Charitable Foundation Grant! We are proud to announce that Nevada Bugs and Butterflies was chosen as a grant recipient of the Helen Close Charitable Foundation, located right in Reno, Nevada! Their generosity will go directly towards quality hands-on science education for youth and families at our outdoor science center and at outreach events throughout 2015. 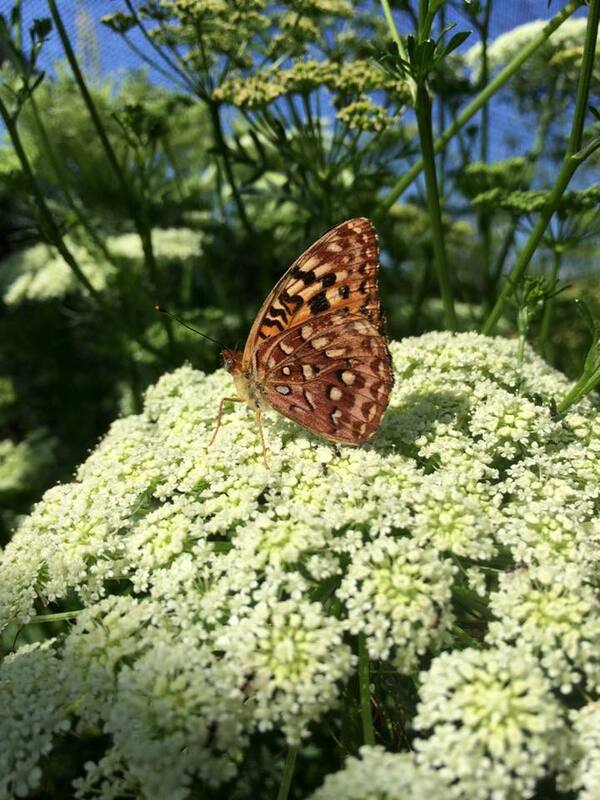 As always, our science center and butterfly house are free to the public and all groups, and contributions from individual donations and grants continue to make our work possible. We are so thankful for the support of the Helen Close Charitable Foundation, and look forward to sharing the wonders of insects with local families throughout the year! Wow, time flies! We had an amazing first week on June 18, and we have been so happy to see many returning families and meet many new ones as well during our first few open days. The butterfly house and garden are looking awesome, so please do come and see us sometime soon! Just as a reminder, we are closed on July 4th but are otherwise open Thursdays, Fridays, and Saturdays from 10am – 3pm until Sept. 19th. Feel free to contact us if you have any questions or would like to schedule a group tour; as always families are welcome anytime during our open hours. See you soon!